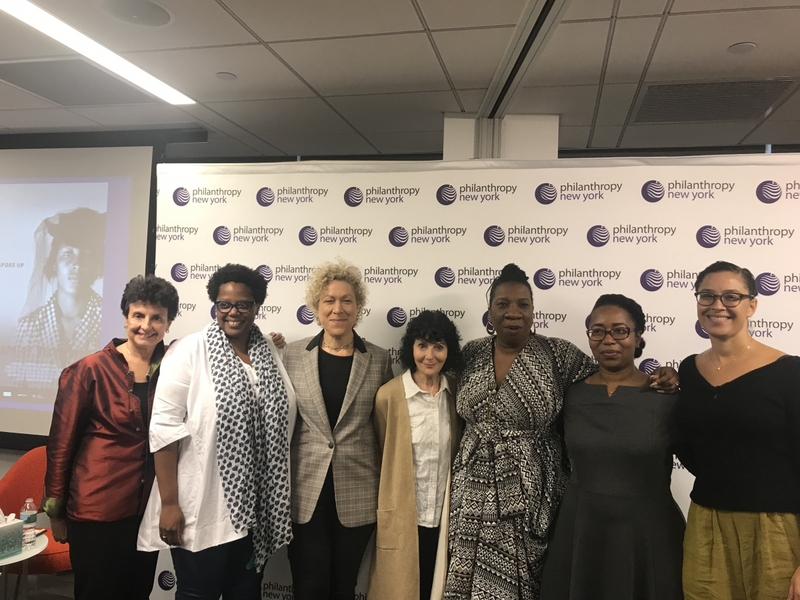 Philanthropy New York’s Committee for Equitable and Inclusive Philanthropy (CEIP) works to inspire and support greater diversity and inclusiveness in all aspects of philanthropy by advocating for equity and equal opportunity. We promote a broad definition of inclusion that respects and actively seeks diversity of perspective and thought on our boards and staffs, and in the communities we serve. All CEIP members have access to an online listserv discussion group. For additional details or information regarding CEIP, please contact Jo Christine Miles at jmiles@philanthropynewyork.org. Food for Thought is a series of conversations hosted by the Committee for Equitable and Inclusive Philanthropy for PNY members to discuss “equity” as a tool to buttress their philanthropic practice and as a lens through which to understand current events. Rather than follow a set agenda, the conversations provide a forum for members to engage in informal, interactive discussions exploring issues of equity and inclusion by analyzing and discussing recent articles, research, editorials, and other media.